STA-BIL Lawn Mower Racing Series Proclaims Mow Towns To Celebrate 20th Anniversary of the U.S. Lawn Mower Racing Association. USLMRA Driver of the Year Wally Bender kicking grass. I remember the first STA-BIL National Lawn Mower Racing Championship 20 years ago, I didn’t sleep for days, hoping somebody – anybody - would show up. They did, and we’ve been kickin’ grass ever since!” - Bruce Kaufman, "Mr. Mow It All." To mark the First Day of Spring and kick off the yearlong celebration of the 20th Anniversary of the STA-BIL National Lawn Mower Racing Championships, the U.S. Lawn Mower Racing Association (USLMRA), http://www.letsmow.com, has announced that cities and towns across the country will be designated as “Mow Towns” as part of festivities to mark 20 years of sod slinging. Meet & Greet With STA-BIL Series Lawn Mower Racers. Official Proclamations By City Officials in Each Town. Official Designations by USLMRA Founder & President Bruce Kaufman “Mr. Mow It All." 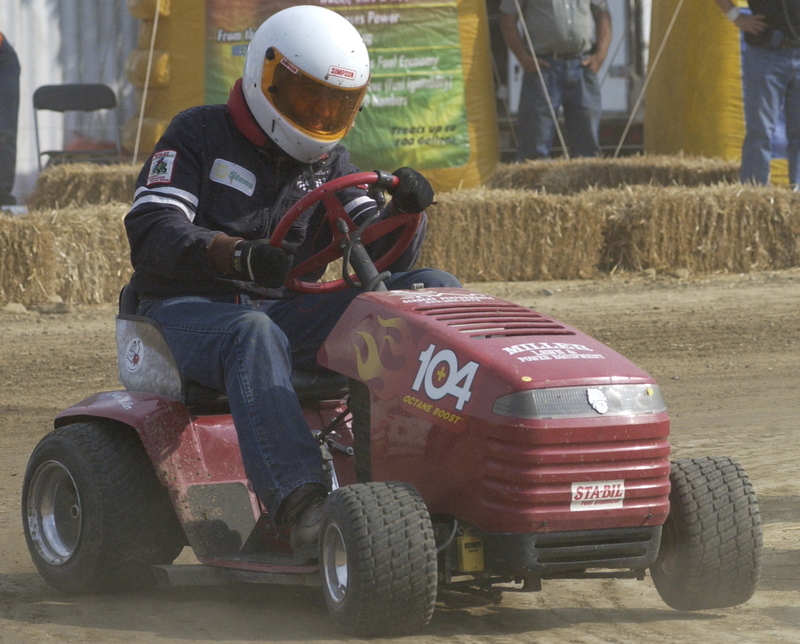 Special Screenings of the new Lawn Mower Racing Documentary Film “On Your Mark, Get Set, Mow! A Tale of Hope, Redemption and Lawn Mower Racing." 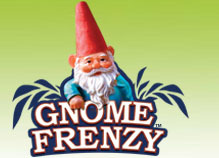 Facebook contests to become Honorary Race Starter. Contests featuring Bobby Cleveland, Gold Eagle’s Engine AnswerMan who set the World Land Speed Record on a lawn mower, 96.529 mph at the Bonneville Salt Flats (Sept. 26, 2012). Official 20th Anniversary Lawn Mower Racing song. The 20th Anniversary STA-BIL Keeps Gas Fresh Finals National Championship (Sept. 1). Annual Induction Ceremonies for the National Lawn Mower Racing Hall of Fame and Museum of America (Sept. 2). 20th Anniversary Awards Banquet (Sept. 2). Annual Sam Rogers U.S. All American Open (Nov. 3-4). “We’re so proud to have STA-BIL Fuel Stabilizer supporting our sport since Day 1 in 1992, for 20 years,” Kaufman added. 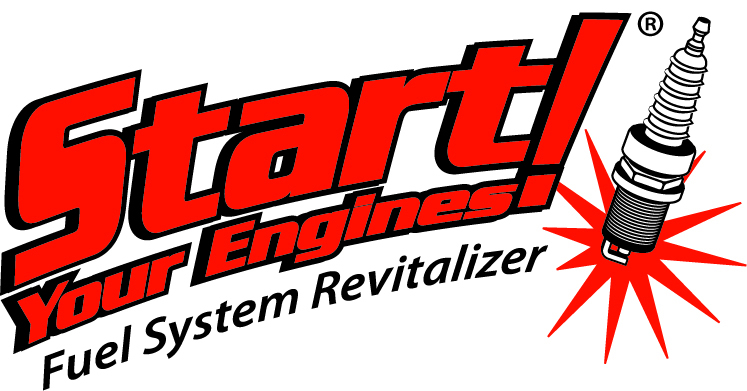 “As lawn mower racing has grown, so has STA-BIL, to become America’s top selling fuel stabilizer, and now offering Marine Formula STA-BIL Ethanol Treatment & Performance Improver, Diesel Formula STA-BIL® and STA-BIL Ethanol Treatment. Founded on April 1, 1992, The U.S. Lawn Mower Racing Association sanctions and presents organized lawn mower racing across America including the 20-race STA-BIL Lawn and Garden Mower Racing Series, a U.S. Open National Series, Local Traveling Chapters and Home Track Affiliated Clubs, hosting 140 events each year. The USLMRA is the nation’s oldest and largest National Lawn Mower Racing Sanctioning Body with more than 800 racers nationwide. Lawn mowers race in several road course classes with all cutting blades removed at speeds from 10-60 mph. Racers compete for trophies, points and bragging rights, never for purse money. The annual STA-BIL Keeps Gas Fresh Finals national championship is televised on Fox Sports Net “Race Freaks” USLMRA sponsors include STA-BIL Fuel Stabilizer, HEET GasLine Antifreeze, Diesel Power!,104+ Octane Boost, No Leak, Alumaseal, Start Your Engines!, K&N Filters and Gnomefrenzy.com. For mow info please visit http://www.letsmow.com. For 80 years, Gold Eagle® Co. has been an industry pioneer in the production and distribution of aftermarket fluids and additives, creating products that help preserve, protect and enhance the performance of engines everywhere. Gold Eagle® Co is a leader in the product development, manufacturing, marketing, and distribution of branded engine performance and maintenance chemicals. Privately held and headquartered in Chicago, Gold Eagle Co. is the manufacturer of leading brands, including STA-BIL® Fuel Stabilizer, HEET® Gas-Line Antifreeze, NO-LEAK® Treatments, 104+® Octane Boost, Start Your Engines® and DieselPower!® Diesel Additives. To view a complete line of Gold Eagle products or learn more about the Company, please visit http://www.goldeagle.com. K&N Filters Start Your Engines. The U.S. 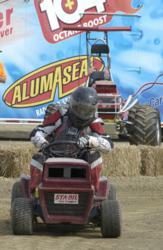 Lawn Mower Racing Association will celebrate its 20th Anniversary in 2012. National Lawn Mower Racing Hall of Fame member Chuck Miller has been racing in the STA-BIL Lawn & Garden Mower Racing Series for 20 years.